To better understand religion’s role in the context of the contemporary world’s political crisis requires a return to what Karl Jaspers called the Axial Age. During this critical period, between the 8th and 2nd centuries B.C, a series of sociological, political and religious mutations simultaneously affected several civilizations from Greece to China. From these mutations, what we consider Religion as we know it today, appeared. With the double discovery of Transcendence and human subjectivity (in the Platonic philosophy as well as in the Biblical and Upaniṣadic Revelations), the question of the representation of the Sacred in the political began to emerge as the “theologico-political problem”. Bellah, Robert and Hans Joas. 2012. The Axial Age and Its Consequences. Belknap Press of Harvard University Press. Bellah, Robert. 2011. Religion in Human Evolution: From the Paleolithic to the Axial Age. Belknap Press of Harvard University Press. Eisenstadt, Shmuel N. 1986. 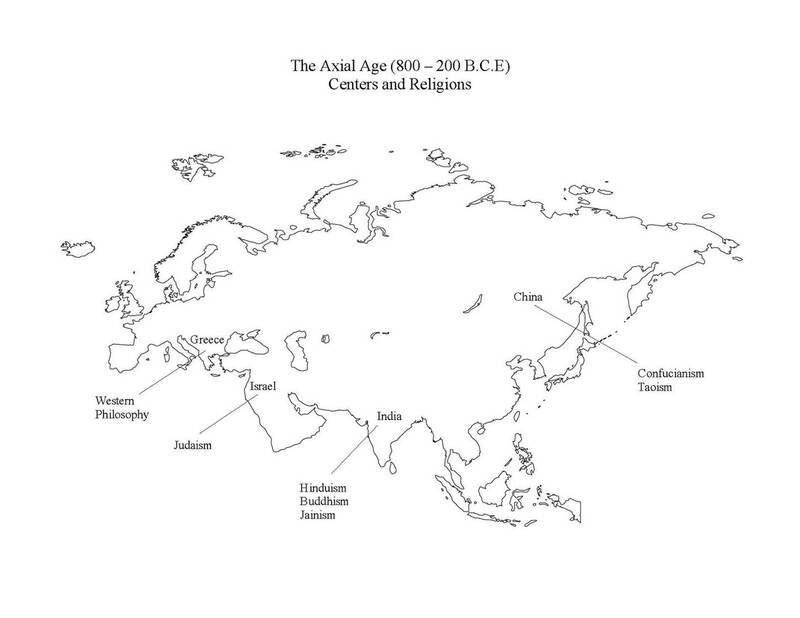 The Origins and Diversity of Axial Age Civilisations. State University of New York Press. Jaspers, Karl. 1948. “The Axial age of human history: A base for the unity of mankind”. Commentary, 6(5):430-435. Voegelin, Eric. 2000. The Ecumenic Age (Collected Works of Eric Voegelin). University of Missouri.